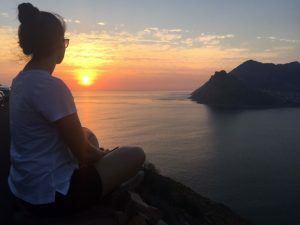 I start this article with some important and simple advice to make your cultural exchange extraordinary and lovely. After you read you will understand as they were important to me. On my first Saturday in Cape Town I went on an incredible adventure together with 4 new friends. We rented a car and drove to 3 of the best places in Cape Town: Boulders Beach, Cape Point and Chapman’s Peak Drive. Our adventure started in the morning of a sunny day. Our first stop was Boulders Beach. 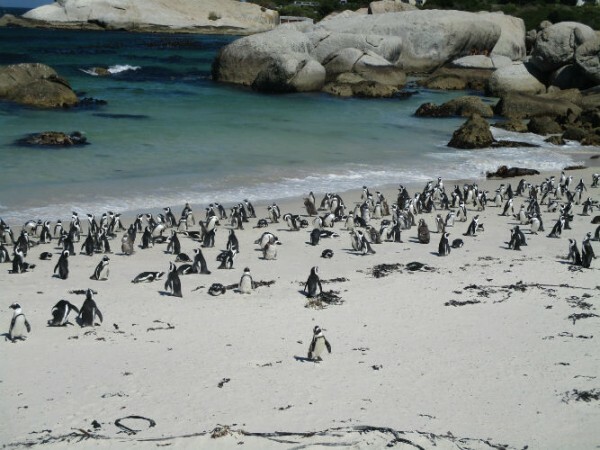 This beach is famous mainly because of the local residents, the penguins. 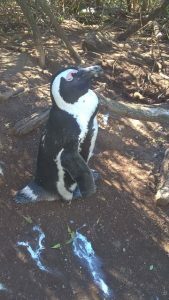 There we could watch the penguins in real life: how they walk, eat, reproduce, etc. It’s a fact: the penguins almost seem to pose for pictures. It is worth highlighting the natural beauty of this place: soft sand, crystal clear water and abundant trees. After this cute stop, we took a deserved ice cream break and went to our next stop: Cape Point. 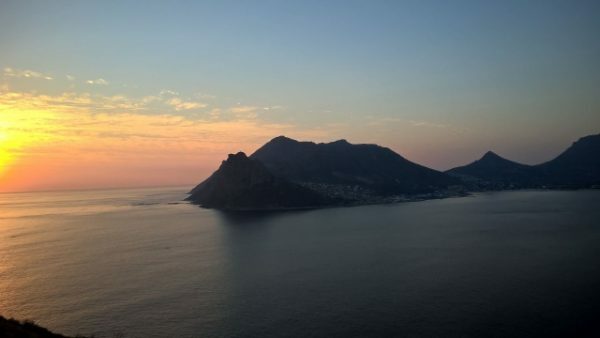 Cape Point is in the Cape of Good Hope nature reserve with vibrant, natural beauty. It is also an international icon of great historical value regarding the sea route to India and the East. 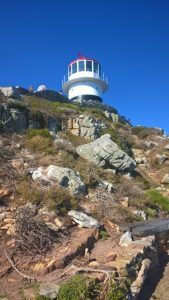 There we walked until the lighthouse at 238 meters above sea level, where we could see the collision between the cold Benguela current of the Atlantic Ocean and the warm Agulhas Current of the Indian Ocean. An incredible view and experience! Going out of Cape Point, we followed Chapman’s Peak Drive. A spectacular road that hugs the near vertical face of the mountain from Hout Bay to Noordhoek. Here I could see the best sunset of my life until this moment. There I could feel my soul being washed. This adventure was stamped as the start of a new cycle and renewed energy. To be with these new friends made this moment possible and special. So, remember my 3 points of advice and save them with you. Life is multi-coloured. Enjoy it!